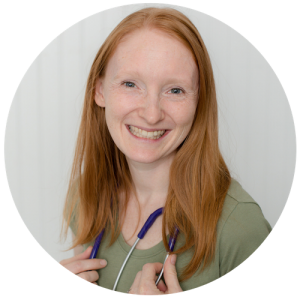 If you hang around Your Nursing Tutor for longer than 30-seconds, then you usually discover that I think Anatomy & Physiology is the key to being successful in nursing school. 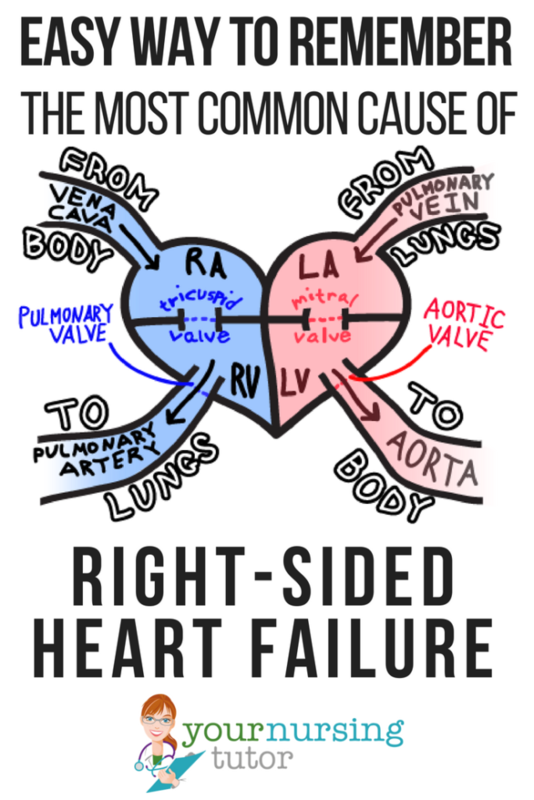 Understanding and remembering the most common cause of right-sided heart failure is a perfect example of why I believe that! You HAVE to memorize the major landmarks above that are typed in bold. You HAVE to be able to remember enough about the cardiac A&P that you could sketch your own simple diagram of the heart in only a few seconds. You HAVE to be able to explain how the blood flows through the heart and lungs. I’m generally not a huge fan of memorization just for the sake of memorization. But there are times when memorization is essential because it helps us create our own framework of information that we will use to build on later in nursing school. 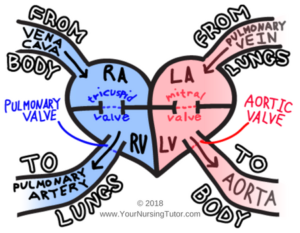 When I was in nursing school, I found it really confusing the one of the heart valves had one name (Tricuspid), but the other valve had two names that were used interchangeably (Mitral = Bicuspid). What finally helped it “stick” in my brain was to think of it like this. The Tricuspid Valve is made up of 3 flaps (that’s why it’s called TRIcuspid). The Bicuspid Valve is made up of 2 flaps (that’s why it’s called BIcuspid). Since the Bicuspid valve can do it’s job using only two flaps, I imagine that it’s the stronger valve…and that’s why it deserves the special name of Mitral. It’s a silly little story, but making up silly little stories like these is actually one of the best ways that I teach nursing students how to study in nursing school! It’s also one of the many methods that I teach in the PASS Program, which is the class I created specifically for nursing students to teach them the BEST ways to study in order to succeed. Trick Question: Which is more common, Left-Sided Heart Failure or Right-Sided Heart Failure? Left-sided Heart Failure is more common, and even if you didn’t already know that, you could make an educated guess based on your knowledge of Cardiac A&P (a great NCLEX strategy, FYI). After all, the left-side of the heart has to work way harder to push blood around the entire body, while the right-side of the heart only has to push blood through the lungs. So let’s start with the problem of left-sided heart failure. Now, what does it mean for the right-side of the heart when the left-side can’t do it’s job effectively? Well, there’s nothing wrong with the right-side of the heart (yet), so the right-side of the heart continues to do it’s job and keep pushing blood into and through the lungs. However, since the left-side of the heart isn’t moving blood from the heart to the body as quickly as it should, a traffic jam develops on the left-side of the heart. Now the right-side of the heart has to try to do TWO jobs…push the blood through the lungs AND help the left-side push the blood through the body. 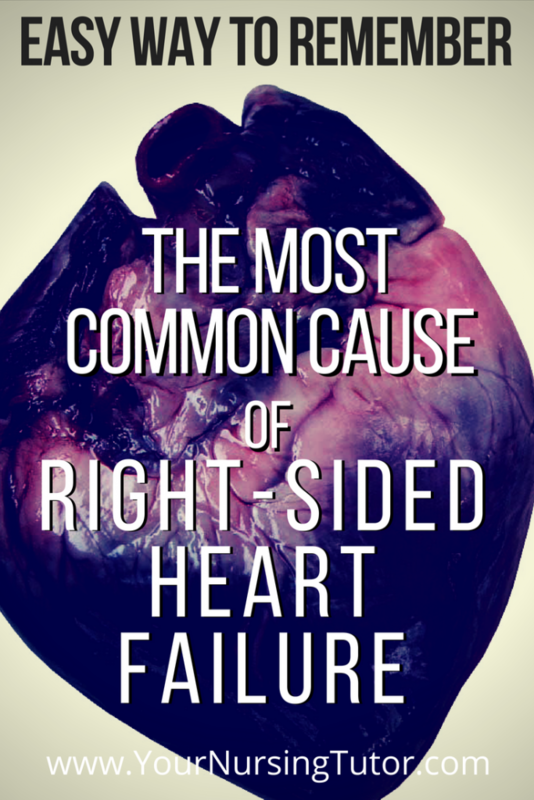 This means that the most common cause of Right-sided Heart Failure is: Left-sided Heart Failure. 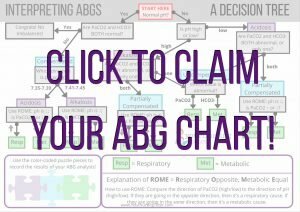 If you found my diagram and explanation helpful, please Pin this article to your Pinterest board so that more nursing students can benefit! Thank you!